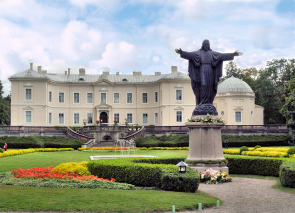 I could give you two good reasons to pay a visit to Palanga Amber Museum: to see the amazing amber collection and walk around the beautiful 19th c. estate of Count Feliksas Tiskevicius. 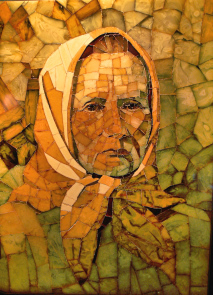 Palanga has a long history of amber. At the end of the 18th c. it was the centre of the Russian Empire's amber industry. The largest amber museum in Lithuania was established here in 1963 with some of the count’s own collection on display. To me summer-sea-and fascinating transparent pieces of amber is always a perfect combination and it’s almost a must not to leave Palanga without visiting the amber museum. John and I developed a passion for amber and we gave the museum repeat visits as there is always something new to see and discover walking through 15 large rooms of exposition spread over a few floors. The exploration of the museum begins with the expositions telling the history of amber (a fossil resin produced by trees, which grew millions of years ago), its formation, processing and application, as well as trade routes and more. 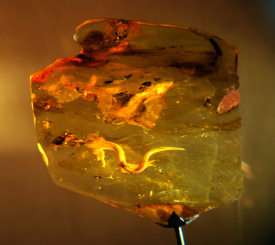 The museum displays more than 20,000 pieces of amber, among the finest pieces and John’s favourite were inclusions of insects and flora, trapped during prehistoric times and entombed inside the amber. 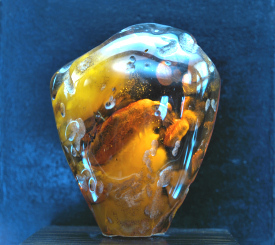 A unique collection features Baltic amber and other fine specimens of amber brought from all over the world. To the joy of jewellery and antique lovers, the museum offers collections of amber artworks and jewellery. 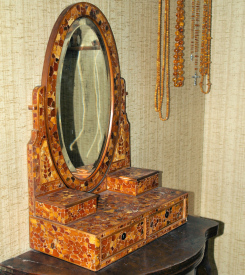 Among them you will see a 15-16th c. amber cross, rosaries, decorative boxes and many more. I also enjoyed selections of modern Lithuanian amber works and jewellery. 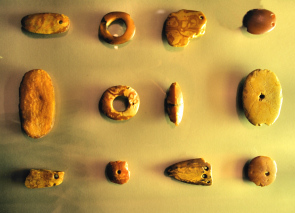 There is also one of the largest amber pieces in Europe, the Amber Sun or Sun Stone, exhibited in the museum. It is famous not only for its impressive size, but also for its history of a few attempts to steal it. The Museum is also famous for its traditional cultural events. During summer months the museum’s terrace becomes home to the night serenade concerts. Educational services, by prior arrangement.